Edmond-First’s outdoor nativity scene this year will have an added attraction — a petting zoo with several larger animals for children to see and pet. 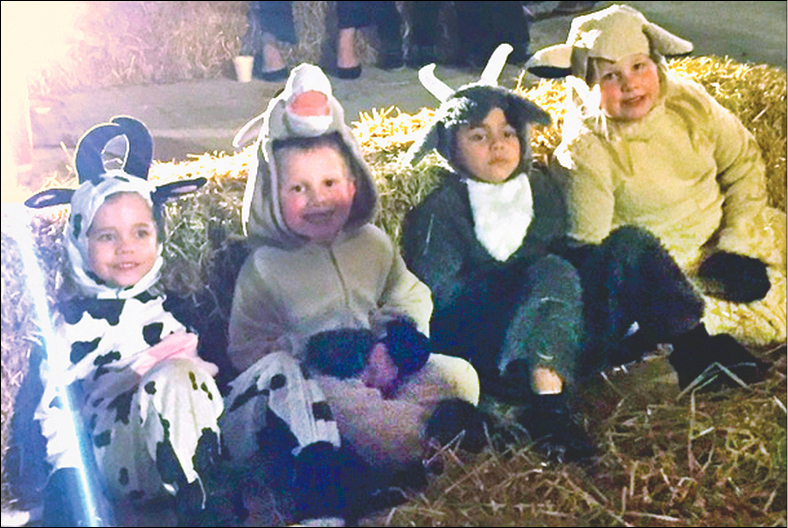 The animals will include a cow, sheep, donkey, and an alpaca in a pen near the nativity scene, said Megan Borum, the church’s director of children’s ministries. The live nativity is set for 6 p.m. Dec. 23 followed by contemporary worship at 7. A family with a baby will portray Mary, Joseph, and Jesus. Children from the church will dress up as angels, animals, and shepherds. Visitors will be offered hot chocolate and cookies, and choir members will sing. The replica of a stable was built by church members, said Erica Lawrence, director of youth ministries. The outdoor nativity, which was first presented last Christmas, is "a great way to reach out to new people in our community," Lawrence said. The event had a "phenomenal" reception its first year. These critters performed at the outdoor nativity event last Christmas.